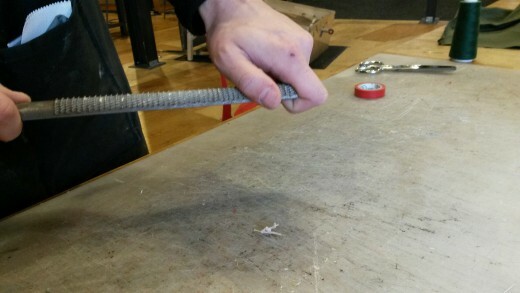 In MAKESHOP we believe in offering “real stuff” to everybody in our maker space, regardless of age, but not every space does this. 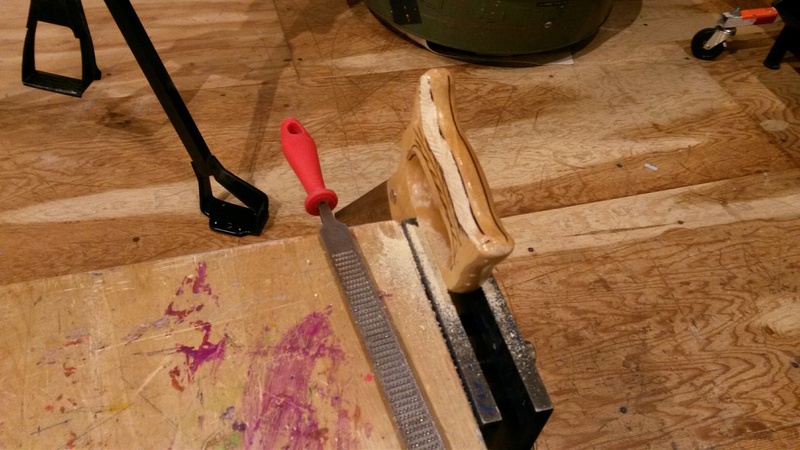 Part of the problem is that some tools aren’t meant for the hands of a six year old, and using an adult-sized tool can be difficult and dangerous. Luckily, using some of these same real tools, we can make modifications to improve grip, and ultimately, safety. A rasp like this has an aggressive texture to quickly wear away wood. Its about a foot long, so it takes a strong wrist to control. 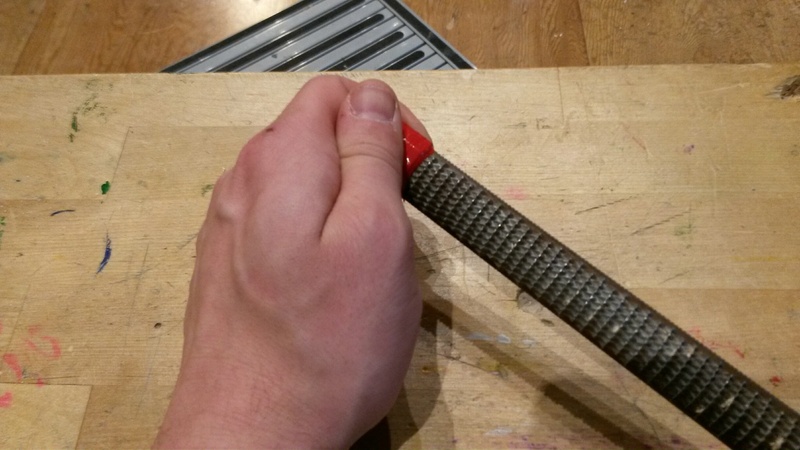 Two hands would offer better control – so lets add a forward grip. 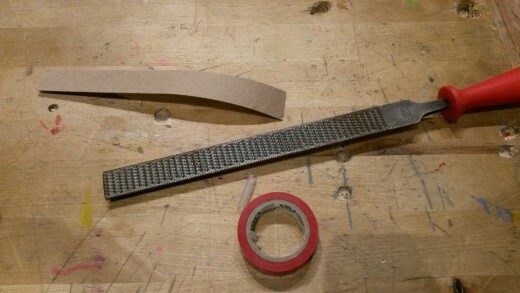 You will only need a few simple materials in addition to the rasp: a strip of cardboard or some other tough and flexible material, and some tape. I’m using electrical tape as its stretchy nature provides a tight wrap and its rubbery texture will provide a good grip. 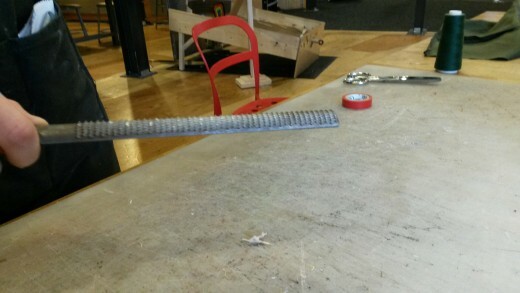 Simply bend the cardboard around the tip of the rasp, and secure with a tight wrapping of tape. 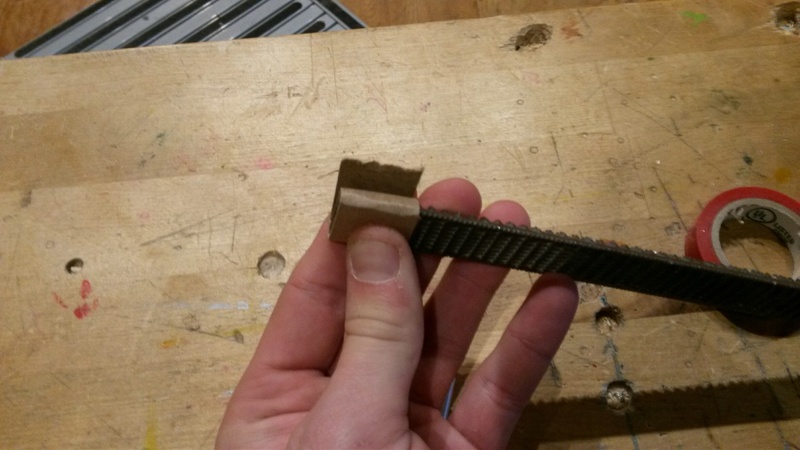 Using this newly adapted tool, we can go on to adapt other common shop tools. 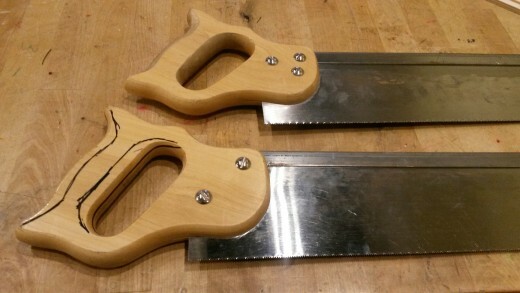 Here you can see a freshly store-bought saw on the bottom, and above it, one which has been shaped to better accommodate the hand of a young person. I drew some lines on the new saw to indicate where wood will be removed. 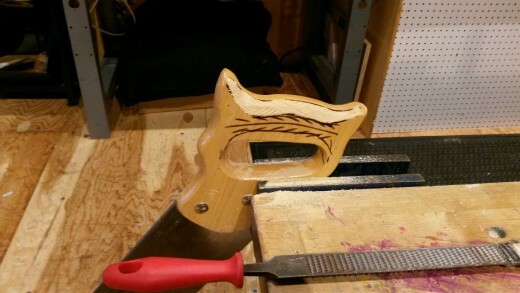 Using the rasp, wear down the wood until it takes on the newly-outlined shape. Take care to make it rounded, so that a hand can better wrap around it. As you can see, the rasp leaves a rough texture. While it may provide a firm grip, I prefer to have a smooth handle, and will use sandpaper to clean it up. The saws arrived with a clear coating on the wood. It is not necessary to replace this coating. The shaped parts of the saw in the first image appear darker, as they have absorbed the natural oils from users hands over time – a great treatment for wood. These improved grips will provide more control, and therefore more safety when using such real tools, both in the hands of children and adults.